Jul - 17 | By: Oregon Film | no comments. 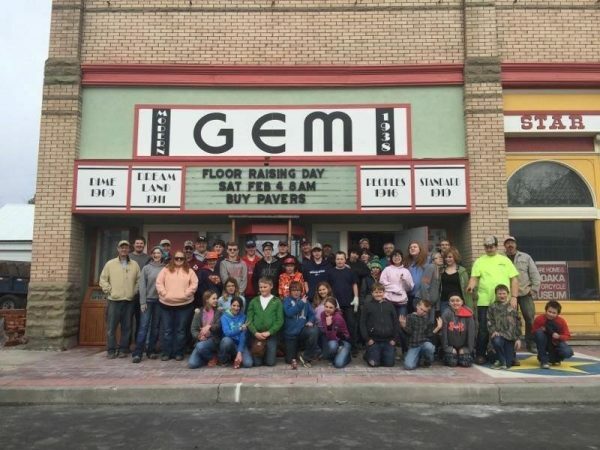 The community of Athena come together to form a volunteer work party to restore theri town theatre. 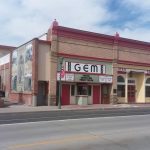 The Gem Theatre is located in Athena—a small, community surrounded by wheat fields in the northeast corner of Oregon. The theatre showed its first “moving pictures” in 1909 and closed in 1968. Four decades of decay followed—an all too common tale of theatres lost forever. But, in the case of the Gem, a handful of determined volunteers intervened beginning in 2004. One year later, the nonprofit Athena’s Gem, Inc. took possession of the property along with $750 in seed money. Plans were developed for a regional “sacred space” for the arts in rural Umatilla County that would include a 300 seat auditorium, stage seating for 50 musicians, an orchestra pit and a fly space for live theatre, as well as modern audio visual equipment for showing film and recording. Planning is easy! Implementation is hard—especially as the full throated effort commenced shortly before the stock market crash all but evaporated the sources of revenue available to such an effort. 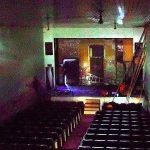 The way forward evolved from the thought that the finished project is primarily for the young people in the region who keenly desire access to the culturally rich activities that a theatre provides. The project coordinator/chief volunteer is also a longstanding educator in the local schools. 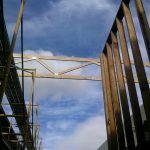 Why not involve students in the restoration itself? The students are also assisting with the restoration of our 1921 eighteen rank Wurlitzer theatre pipe organ, through an arrangement with the school district allowing students to enroll in a class that is putting the instrument back together. 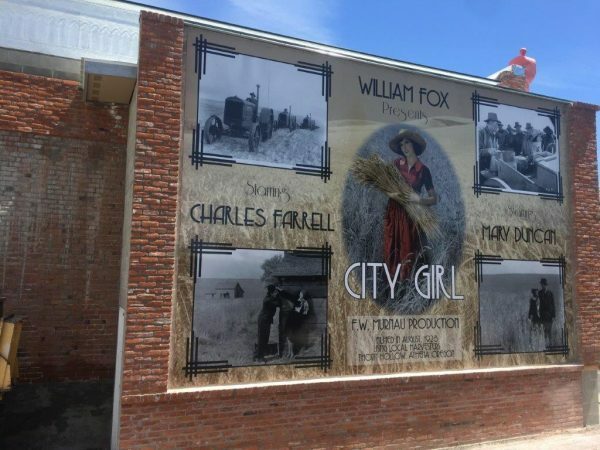 And, students assisted in the design of our beautiful building mural that celebrates “City Girl,” a film shot locally during the 1928 harvest. The new mural celebrates the local production of the F.W. Murnau film “City Girl” in 1928. Local harvesting crews were used in the production. The wheat fields where the harvest scenes were shot appear the same 90 years later. Oregon Film adds: the wheat fields surrounding Athena featured heavily in the (shot in) 1928 #OregonMade silent movie, “City Girl.” Sadly the movie never did screen at the Gem as the Great Depression was responsible for closing the theatre right around the time of the film’s release (1930.) The brand new mural on the side of theatre depicts scenes from the movie, and the star, Mary Duncan. 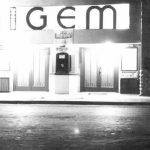 The ongoing history of the Gem can be found with weekly posts on Facebook at “Athena’s Gem, Inc.” and on their website. The Gem auditorium in 2007 shortly before demolition began. 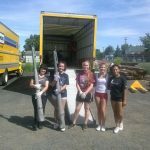 The local high school cheerleaders were a great unloading crew when our Wurlitzer theatre organ arrived from Kansas in 2016. The Gem as it appears today. 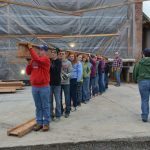 Student volunteers worked in teams to rebuild the auditorium floor in one momentous day, 2016. 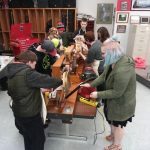 Students in the Opus 503 class at Weston McEwen High School are shown working on the organ “toy counter” in 2018. The mighty 1921 instrument was the 503rd built by Wurlitzer, hence the course designation.